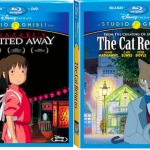 It’s been a long time coming, but it looks like we are finally getting the Studio Ghibli Blu-ray we’ve all been dying to receive….and another one that some people maybe kind of wanted. 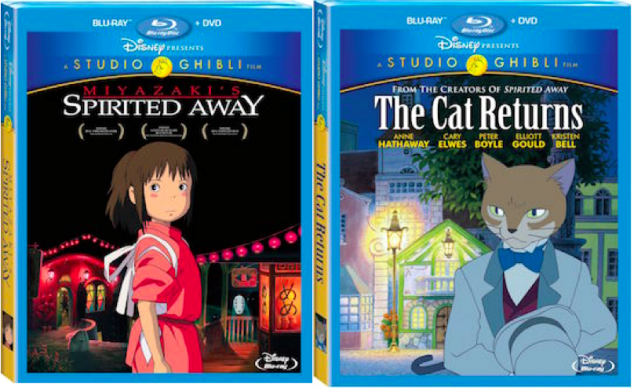 Disney will release both Spirited Away and The Cat Returns on June 16th, 2015. Both films will include 2 Blu-ray discs, one DVD copy, and sweet bonus content. Spirited Away is about a young girl, Chihiro, trapped in a strange new world of spirits. When her parents undergo a mysterious transformation, she must call on the courage she never knew she had to free herself and return her family to the outside world. The Cat Returns is about a schoolgirl bored by her ordinary routine. When she saves the life of an unusual cat, her world is suddenly transformed beyond anything she ever imagined. To change her fate, she’ll need to learn to believe in herself and, in the process, she learns to appreciate her everyday life. Fans of Studio Ghibli have been waiting and pleading for Spirited Away to arrive on Blu-ray and we can finally put in our pre-orders and rest easy tonight. While The Cat Returns is not a widely known Ghibli film, those who love it do so passionately. Those of us who have not seen this film will finally be able to see it and witness for ourselves why people adore The Cat Returns. Which film are you the most excited for? Spirited Away, right? If you’re more excited for The Cat Returns, tell us why below!